We should be careful of US market as it enjoys a second week drop. Judging from our market sentiment indicator (which measures whether the S&P500 sector stocks are bullishness or bearishness), the Financial and Technological major sectors stocks have just indicated bearishness. This is never a good sign, especially when the market is so overbought. Although there is a change in the sentiment, we feel that the market downward momentum has not really caught up with the traders yet. It makes this week's market all the more interesting. 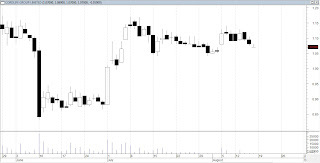 We do suggest to watch out for this week's first 3 days of trading. It will give a glimpse of how the market reacts to the 2 triple digit down days that happened on Wednesday and Thursday. Further sell-off will indicate the tone has changed and it is advisable to take profits for mid term traders and remain in the sidelines. a) Apple a stock that we recommend for long term investment might be still holding the market up. We can't belittle the Apple Effect. Apple seems to have been caught up with the bullish tone again after it's great earnings beat recently. 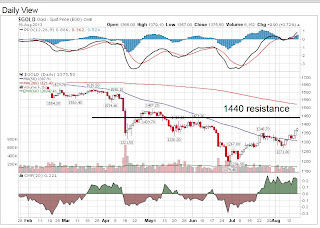 In fact we think that it has potential for more upside momentum, especially when there is expectations of the iphone product launch on 10th September 2013. Apple is now flirting with the $500 figure, following a run up of $50 since the after earnings day. We do expect Apple to continue its strength before the product launch. b) Even if market does correct, we think that with expectations around, it will not be severe, a few hundred points correction from the top. Probably not more than 1000. Not yet. Singapore is recently affected by US weakness. It has dropped below the recent support of 3200 with a 23 points drop. What I feel about the market is that it will depend on US to decide its fate. The range of Singapore STI is from 3150 - 3300 unless there is a tremendous correction that happens to the DOW. 3150 is a good support currently. 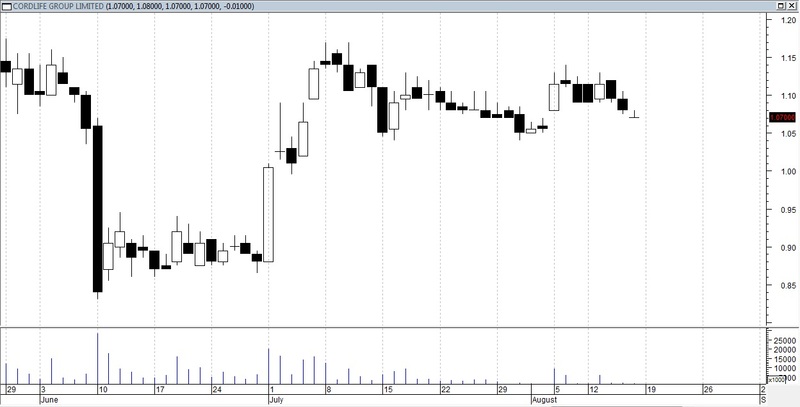 But do be careful when STI is near 3300. We don't expect it to go past so soon. Do take note that this company reaches my target of $1.17 recently. Having consolidated for some time in between $1.04-$1.17, we feel this run might not have ended. But with one concern of the US market being uncertain next week, we think you need to exercise strong money management and control still. A lot of people do ask me about the recent direction of gold. we do think that short term it should maintain its bullish stance. 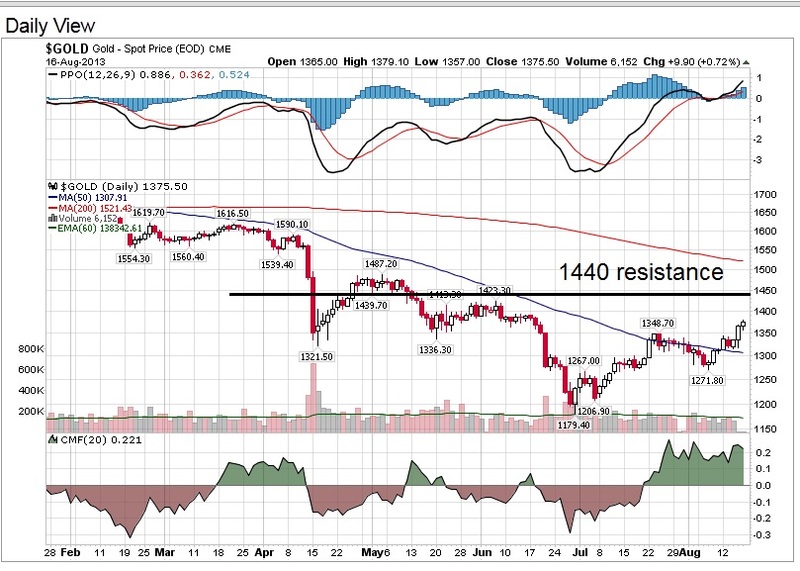 1400 is a small support, but we think 1440 should be a very strong resistance that we think might not cross. Just take note of gold at that point. It might travel back towards $1200 again without forgetting that the issue of QE tapering has not been solved. This gold run to me is a short term play. 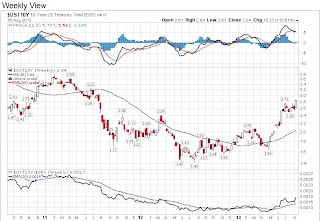 The 10 year treasury yield is a concern to all and should remain as such. 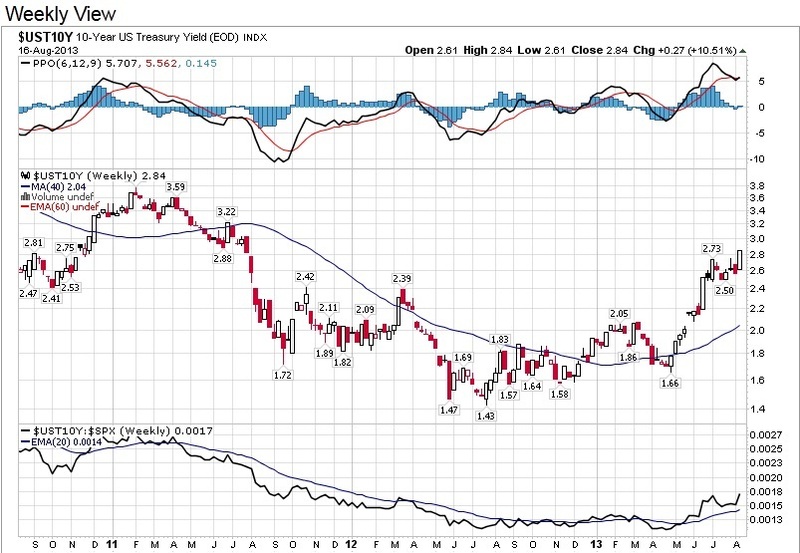 We think that the yield is heading for a 3% which indeed might be a concern to the stock market. Expect more volatility ahead if this yield goes higher. 2) Why doesn't people be able to achieve consistent results in trading stocks? What is the reason?